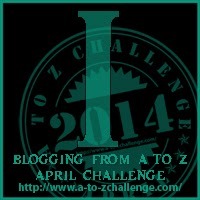 The Ninja Librarian: I is for Islands! 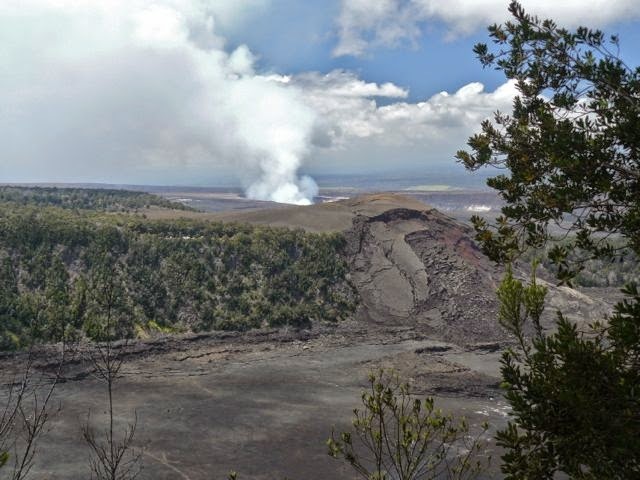 We began our trip to the Big Island with Hawaii Volcanoes National Park. The volcano didn't cooperate with flows of hot lava, but it did bubble and steam a bit for us. 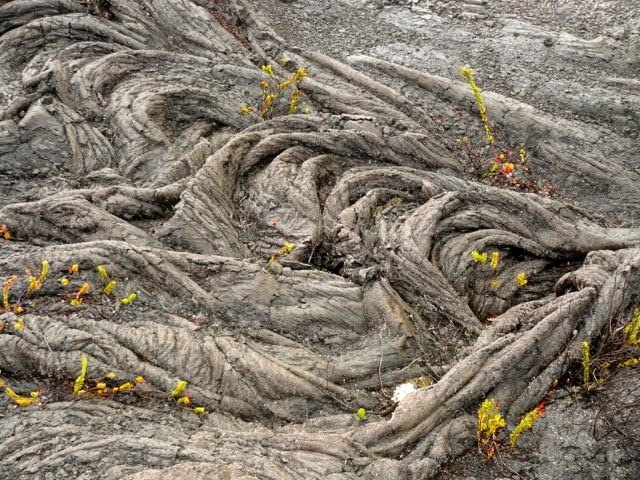 Some beautiful ropy pahoehoe lava (something I learned about at age 3 at Craters of the Moon). 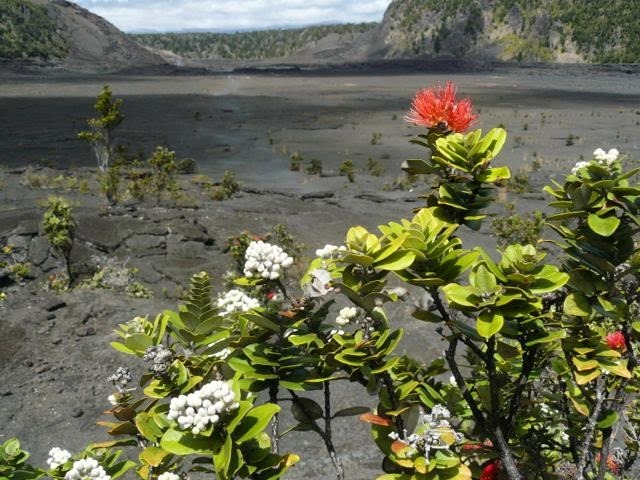 I really liked the contrasts between fresh(ish) lava and the vegetation rapidly taking over. 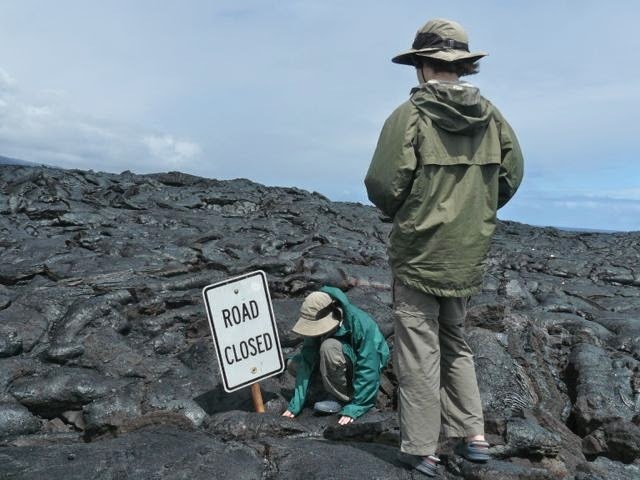 When the volcano closes a road, it is CLOSED! Transitions from lava to rich rainforest were quick. 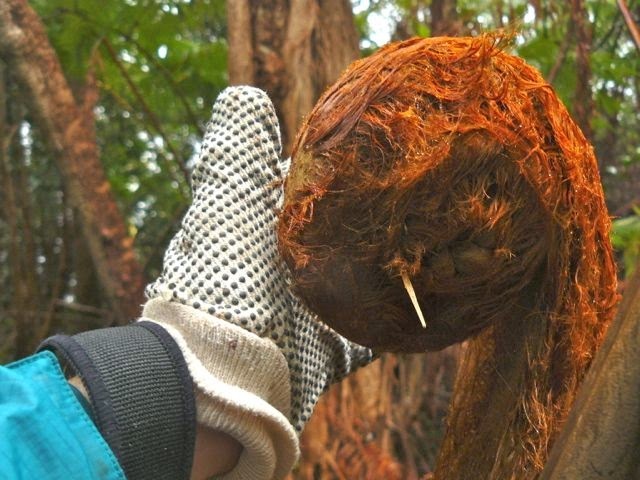 I couldn't get over the fiddleheads on the tree ferns. 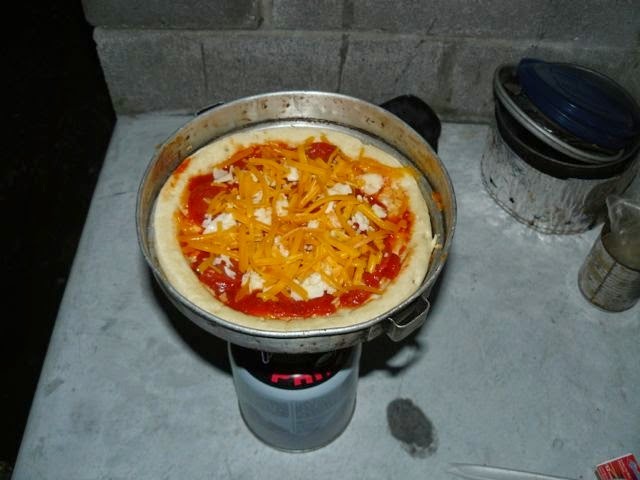 Nothing like pizza made on a one-burner camp stove! This will have to do instead of ice cream--that all got eaten before any pictures could be taken. We did spend a little time on beaches (not much--we burn too easily! ), but usually without our cameras. 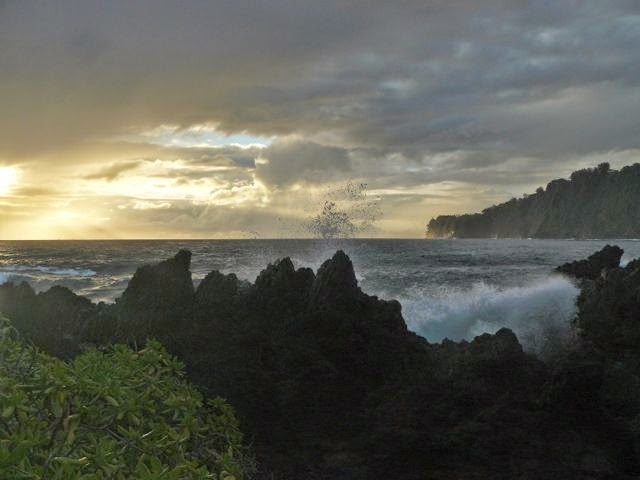 This was a classic Hawaiian morning on the east side of the Island, taken from camp. And, for a different sort of island. . . 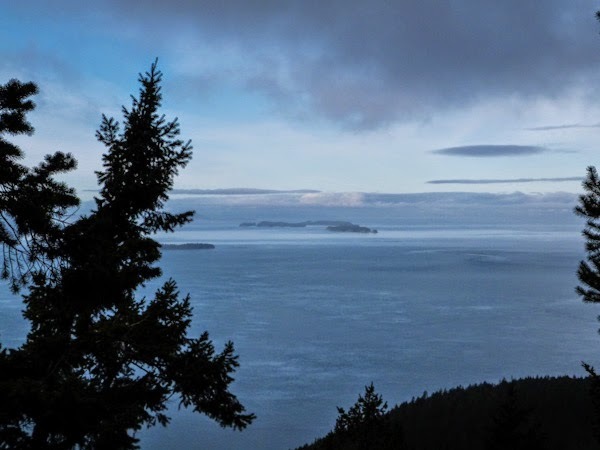 I'm pretty sure Pismawallops Island is out there somewhere (photo is of the northern San Juan Islands, taken from Lummi Island, Washington State). Geology is one of my first loves. When I'm out walking, I tend to run into things since I'm looking down at the rocks for something interesting, LOL. 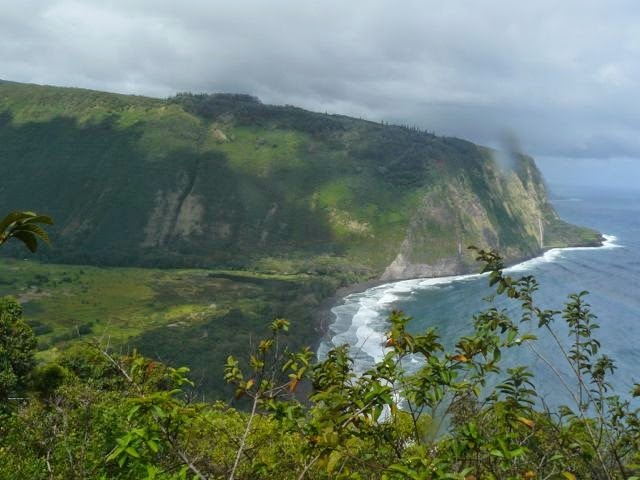 The Big Island is my favorite of the Hawaiian Island chain though it's sad what tourism has done to all of them. The raw beauty is amazing. You captured that so well. It's the only one I've visited so far (this was my first visit, though the spouse has been before). We definitely went for the wilderness, not the tourist areas. I love Hawaii. Your photos prove how nature will always renew herself - if only people left her alone. And volcanoes are so VERY good at revealing how puny human interference is! Come to think of it, my blog background is another illustration, though of how much longer it takes for lava to become rich soil in a dry climate! I especially liked the lava pictures, especially that ropy pahoehoe lava one. When I learned that name as a 3-yaer-old, I loved the way it sounded and felt, and went around repeating it over and over! The other kind of lava (aside from pahoehoe) is of course, that wonderful Scrabble word, aa. It's a worthwhile journey! I'd like to go back, or to someplace with even better snorkeling, and do more of that--it was a beautiful world under the ocean! Hawaii is on my bucket list Gorgeous photos. Thanks! I hope you get to go there! I've lived all my life in volcanic areas, so I tend to take it for granted--but this was definitely fresher than I'm used to! Simply gorgeous photos! Very artistic too. I can tell you though about composition too. Thank you! My husband is a very good photographer and I have learned a lot from him over the years, though I'm not patient enough to do as well as he does. His brother is even better--see his work at Photoseek.com. Absolutely beautiful! Wanderlust rekindling again! Good! Everyone should enjoy a bit of wanderlust, even if it only leads you to the local park!